Let bacon guard your cash! 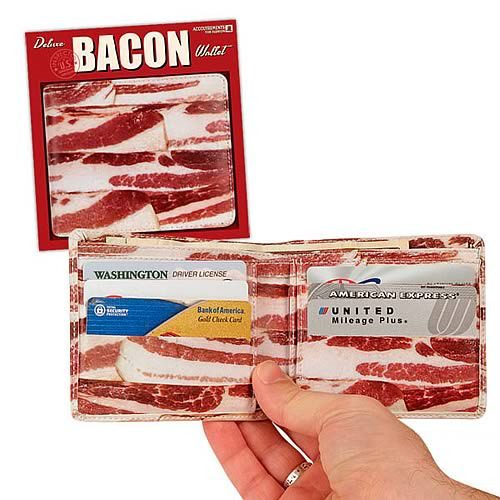 Put some hip into your hip pocket with a whimsical Bacon Wallet! Great for bringing home the bacon (sorry). Sleek, yet meaty. Each 4 1/4-inch wide x 3 3/4-inch tall faux-leather wallet has plenty of pockets for your cold hard cash and copious cards. Illustrated box with clear acetate lid. Order yours today!